Have you heard of the old man of the mountain? 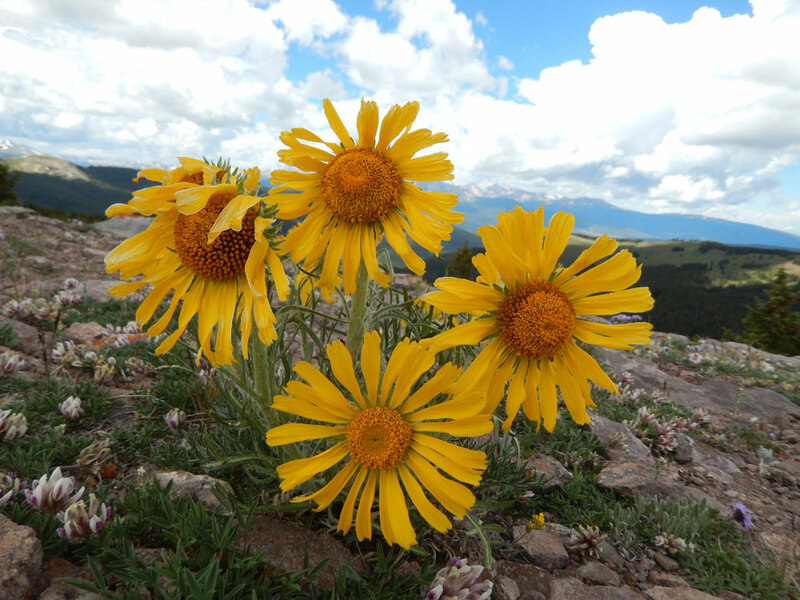 Well, if you go up to Mount Goliath, you will encounter an alpine plant with that name (Hymenoxys grandiflora, Old-Man-of-the-Mountain) that might remind you of a miniature sunflower. 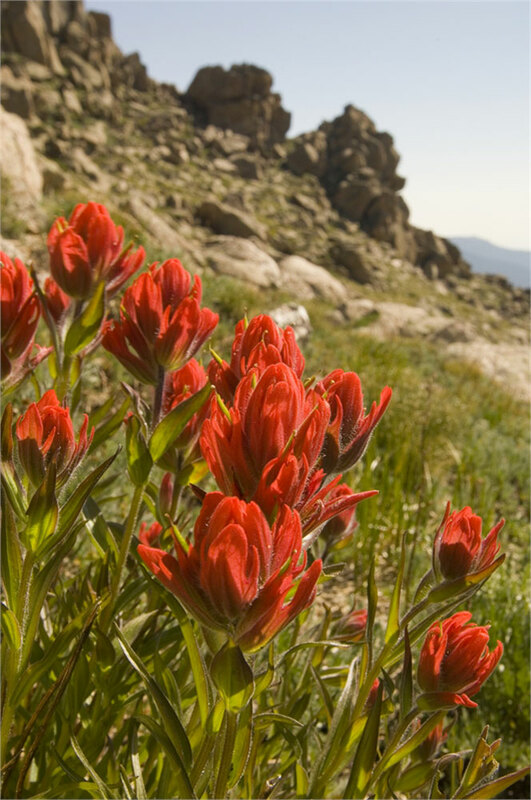 Dozens of alpine plant species hug the ground to battle the Rockies’ drying winds and cold temperatures. 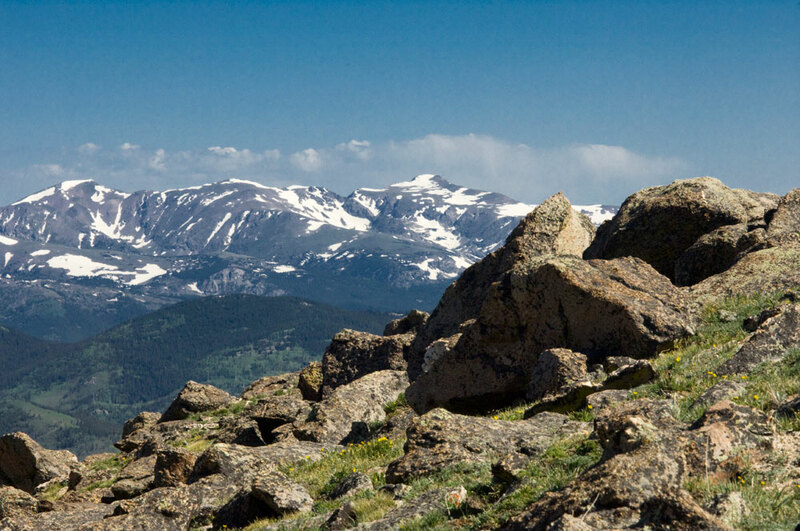 Mount Goliath is about 30 minutes from Idaho Springs on the highway that goes to Mount Evans. Here you can stop and see the Dos Chappell Nature Center and stroll through an alpine garden or take a short hike. The M. Walter Pesman Trail leads you through an enchanting grove of bristlecone pines and winds its way up to those small, delicate alpine plants (that you may need to bend over to appreciate their beautiful flowers in a rainbow of colors). When visiting, please do take care to stay on the trail as these plants grow slowly and our footsteps can cause irreversible harm. To learn more about wildflowers from Gardens docents, plan your visit for one of our select days in late June through early August, and take advantage of the free shuttle at Mount Goliath on Tuesdays and Thursdays in July. The shuttle runs at regular intervals from the top of the M. Walter Pesman Trail to the Dos Chappell Nature Center, to allow for a one-way hike down (or up) the 1.5-mile trail. Here is more information about Mount Goliath.